Having entered the winter break in ailing form, both teams will be looking to get their season back on track. Inter would endure a seven-game winless run across all competitions. The Nerazzurri are now a whopping nine points off the summit. Roma are in a spot of bother too, with three defeats and a draw in their last five games. Both teams also suffered disappointing Italian Cup exits in that stretch, Inter ousted by city rivals Milan, while Roma were taken out by Torino. A win for Roma would see them go level with Inter on 42 points, potentially pushing them out of the top four in the process. Edin Dzeko will need to get out of his scoring funk fast though. The Bosnian hit the target seven times in his first seven games, but has found the net just twice in his last 13 league outings. Inter themselves are struggling to hit the net. They have failed to score in five of their last seven games in all competitions. That aligns with the form of Croatian winger Ivan Perisic, who has been on the scoresheet in only one of his last nine appearances. 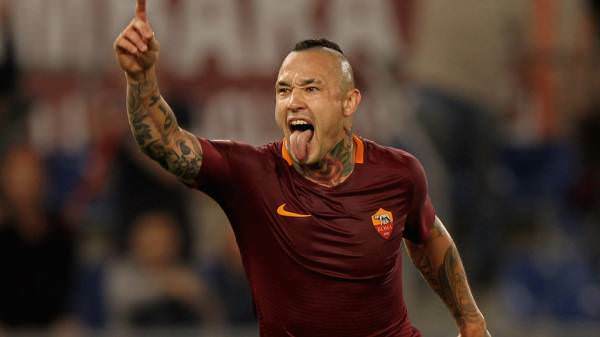 It is unclear whether Roma's dynamic playmaker, Radja Nainggolan, will feature. The Belgian was dropped from the squad after posting an Instagram video of himself drinking and smoking at a New Year's party. He was duly suspended for the Atalanta game, which Roma lost. Inter are at full strength and can even call on the new January signing, Lisandro Lopez, a tough-as-nails defender. 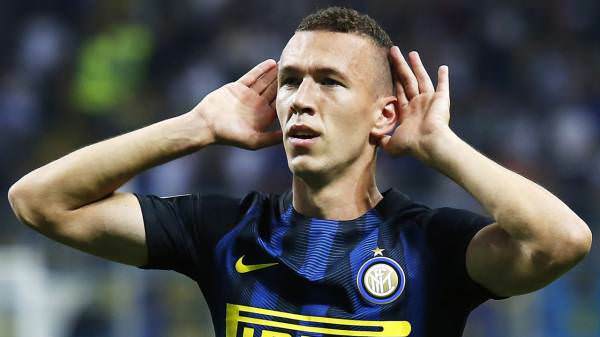 Big Stat 1: Inter have failed to score in their last three games at the San Siro. 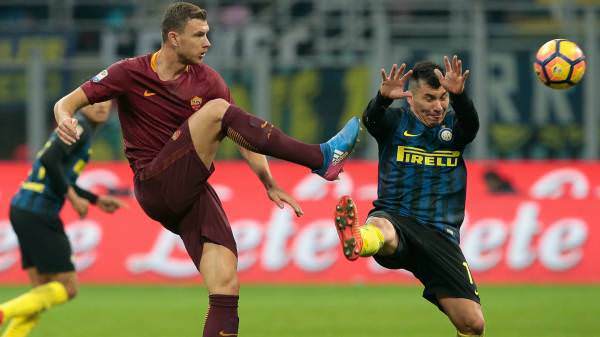 Big Stat 2: Both Inter and Roma usually dominate games, averaging 54.2% and 57% of possession respectively. Matias Vecino snatched a point four minutes from time but Inter's winless run in Serie A continued as Roma left San Siro with a 1-1 draw. Eusebio Di Francesco's side entered the match amid mounting speculation over Chelsea launching a bid for top scorer Edin Dzeko, but it was former AC Milan forward Stephan El Shaarawy who came to the fore with a coolly taken 31st-minute opener. Mauro Icardi led Inter's charge during the closing stages as Brazil goalkeeper Alisson produced a pair of world-class saves to deny the Argentina striker. But Di Francesco's decision to bring on defenders Bruno Peres and Juan Jesus invited an unsustainable level of pressure and Vecino was the beneficiary, powering home a pinpoint cross from Marcelo Brozovic.